It's not every day you can admire your smile in such a beautiful mirrored acrylic sign. 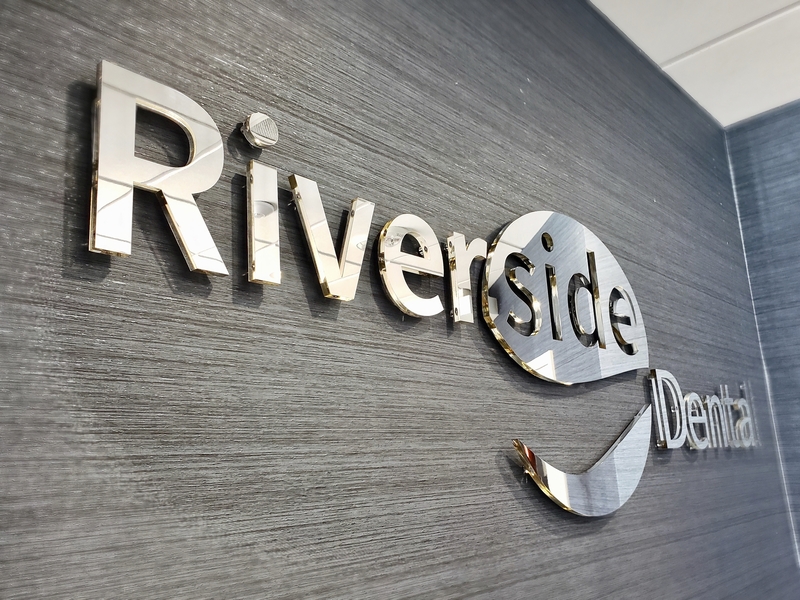 We designed and produced this custom sign and wall mounted it at Riverside Dental's waiting area. We took extra care to ensure it's size was just right for the feature wall. It's clean design plays off surrounding decor and works well to complement the space and its textured wallpaper. The sign reflects elegance and class. It works to enrich the office brand and newly established space. 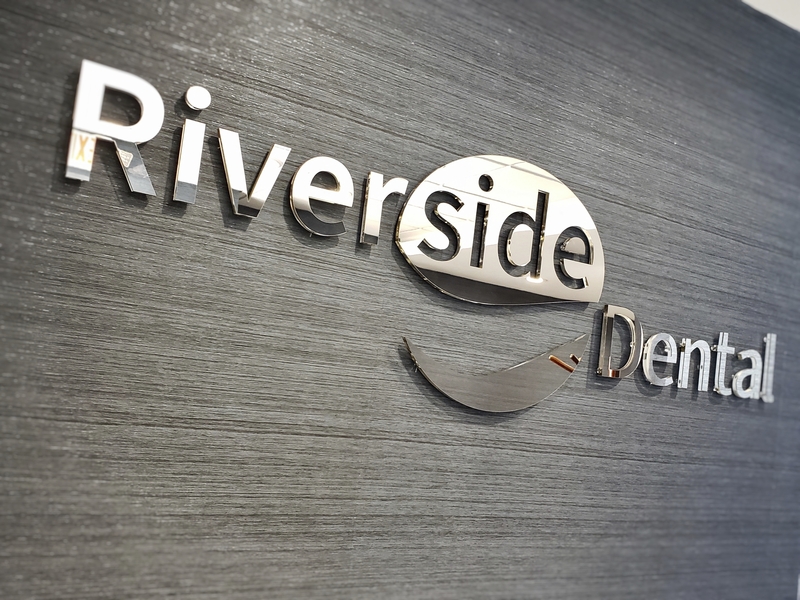 Clients can now admire their new smiles at will! Sign Installation in Lansdowne, Virginia. Want to get your own mirror sign made?